1 Driven by passion: An entrepreneur should be driven by passion in the line of work he or she is at. 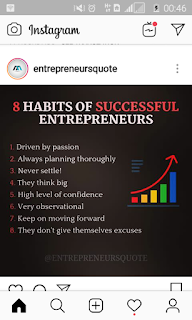 2 Always planning thoroughly: A entrepreneur should always plan so that he would always be execute his plan without thinking of what next to do. 3 Never settle: You should never settle no matter the money you have. 4 They think big: Entrepreneurs don't think the way others think. The think about the bigger picture. 5 High level of confidence. 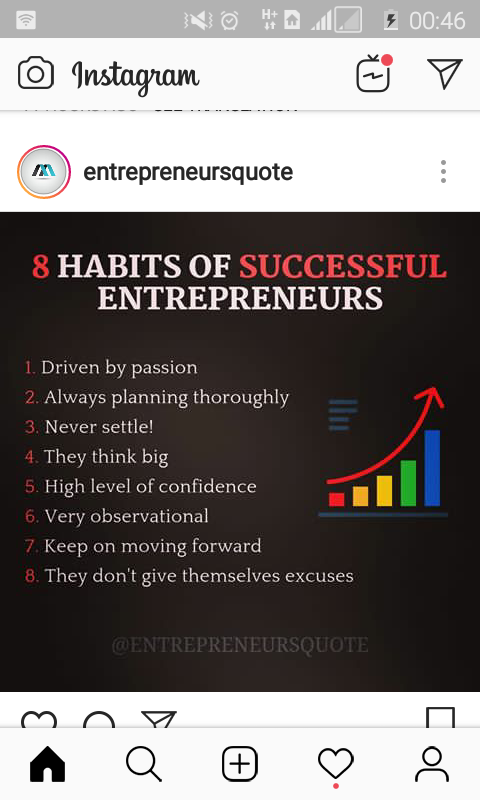 8 Don't give themselves excuses.